Christmastime always comes with the excitement of giving and receiving gifts! But what does Santa have in store for you this year? Find out with our quiz! 1. Mulled wine at the Christmas market. 3. Hot chocolate with a twist. 4. Prosecco with my friends. 1. Eating all the food. 2. Sitting in front of the fire. 4. Spending time with the family. 1. The chunkier the better! 2. Aran is the way to go. 3. Do I have to choose? 4. DK all the way. How do you usually greet your friends and family? 1. A kiss on the cheek. 1. Baby it’s Cold Outside. 4. Do They Know it’s Christmas? Where would you like to spend this Christmas? 2. In a cabin in the mountains. 3. At home is fine. 4. Going on an adventure. How well do you handle cold weather? 2. Fine, as long as I wear five layers. 3. I’d rather it be summer. 4. I don’t go outside when it’s cold. What’s the best present ever? 2. Something that will last forever. Which is your favorite yarn material? 1. I like a wool/acrylic mix. 2. 100% wool, no synthetics for me! 3. I love a good alpaca or merino wool! 4. Cotton or acrylic please! Don’t want to wait for Santa to bring around your gift? I’m getting a hat! Check out our hat patterns here – for everyone who wants to brave the cold outdoors and still stay warm! I’m getting a sweater! Our sweater patterns are great for everyone who likes to cuddle up in front of the fire over Christmas! I’m getting a bunch of yarn! Want to make your stash bigger? 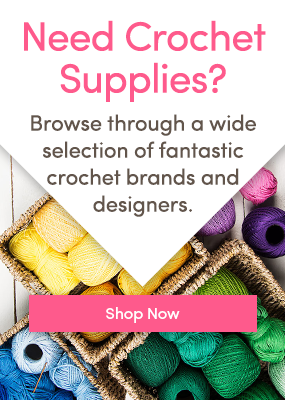 We’ve got you covered with our great selection of yarn – no matter the fiber or color you want, you’ll find it here! I’m getting toys! More on the playful side? Why not knit some toys with our awesome patterns! You’ll find them here on our website and of course every accessory you need as well!